Does your small male dog keep going to that same spot on your carpet, or lift his leg on your furniture day after day? Is he older with medical problems, and just can't hold it through the night? Would you like to let him in the house to visit with you and your family, or take him when visiting friends, but just can't trust him to do the right thing? For training, excitable dribbling, incontinence & females in season. 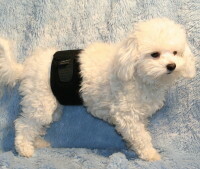 Female Doggie Diapers need to be adjustable to work. 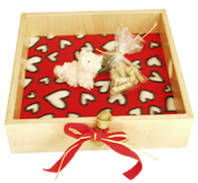 Our Female Doggie Diaper is completely cuttable, adjustable, washable and reusable. 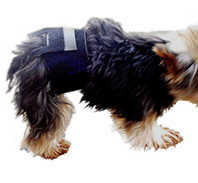 Made of soft, cut-table fabric, so you can cut or adjust the diaper to fit your female dog, in any direction. Tired of people telling you, "You can't bring your dog in here" The In-Dog-Neeto Bag and Back-pak was designed just for that reason. 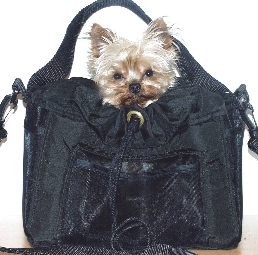 The In-Dog-Neeto bag Carrier lets you bring your little dog with you everywhere, without anyone knowing. You no longer have to leave him/her home alone when you go shopping or out to dinner with friends. He/she will be completely cozy inside, while no one suspects a thing. 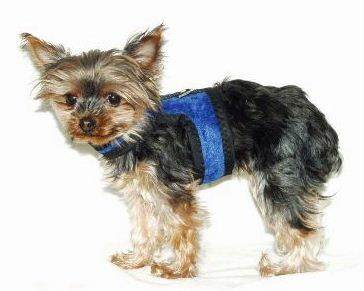 Soft Walking Harnesses are Designed for smaller breeds. 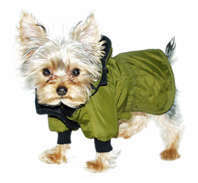 Features 2 Velcro closures (under neck and tummy) for that quick and perfect fit. Ring on top to connect your leash. Made with soft fleece lining to provide non-chafing comfort that your little one will love. No long hanging sleeves, Tailored neck, sleek and comfortable. Completely washable. 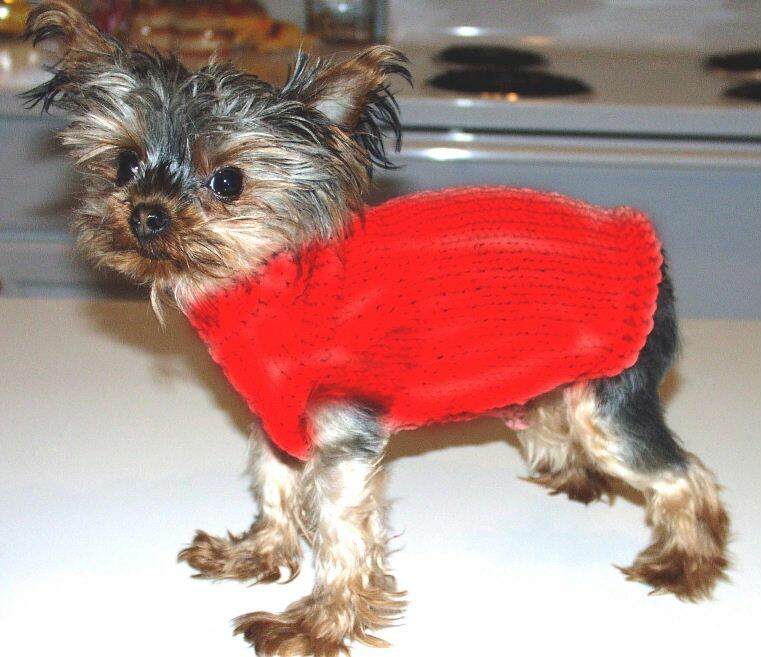 Available in sizes 4" - 12"
Our Tiny Tanks & T's are for dogs under 8lbs. We feature Tank style with no sleeves and a T-shirt style with tiny sleeves (Tank pictured here). A variety of styles and colors for girls and boys. Never allow your little dog to be loose in your car when driving. Un-restrained pets become projectiles in an accident. Put them in a doggie car seat that can be secured with a seat belt to your passenger or back seat (back seat is best because it is away from the air bag). 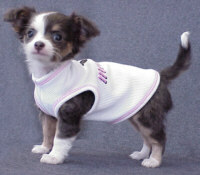 Cute and adorable and available in the same colors as our In-Dog-Neeto soft walking harness. 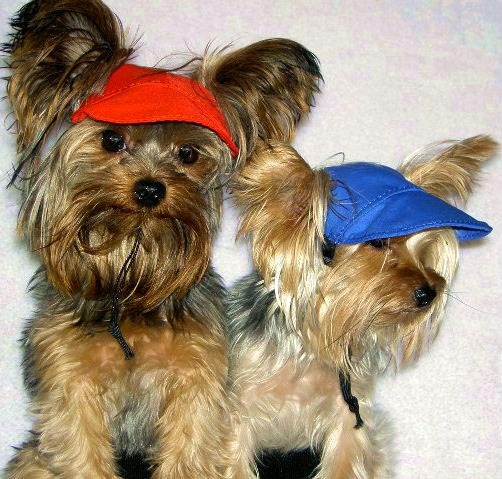 So you can match them perfectly.Each Tiny Visor has an elastic drawstring with a cinch/lock for that perfect fit. Stays on too. Very soft and comfortable. 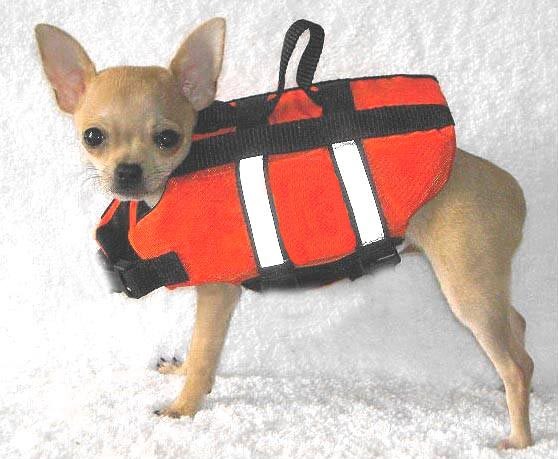 Our Tiny Life Jacket is the smallest you will ever find. Made especially for Unique Accessories, Inc.
Softest blankets ever. Beautiful colored In-Dog-Neeto blankets with satin trim. 31" square. 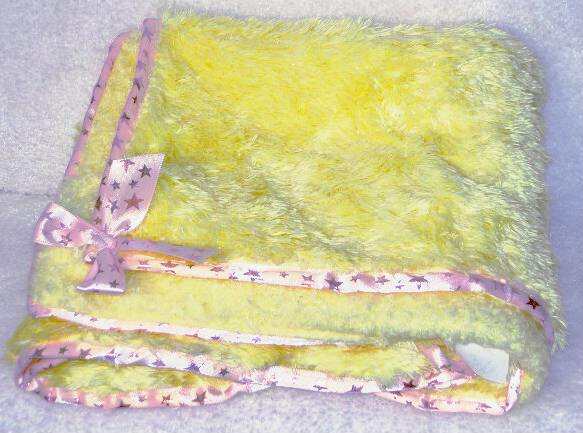 If your little one likes soft blankets this is the blanket. Looking for something really warm for your little one? Our Parka is beautifully made, with a wind/water resistant outer shell and a thick Yukon fleece inner lining for maximum warmth. Do you have a little one that follows you everywhere? Does he/she just want to be held? 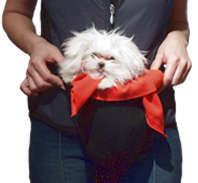 With our Pup-Poose you can carry your little one around with you and still be able to use your hands for other things. Are you always looking through bins for just the right size soft toy that your tiny dog can actually get in his or her mouth? Are your current toys so big that they just drag across the floor, collecting dust. 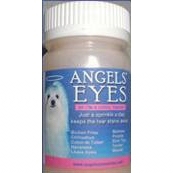 Many people wonder why some dogs eyes water, causing a stain on the fur just below their eyes. This condition is called epiphora. When the facial hair is wet from excess tearing it is the breeding ground for bacteria and yeast. Does your tiny dog-child have so many toys they are spilling out all over your house? Are you always on the hunt for something small to contain the mess, that's just the right size?